A search has resumed for a 72-year-old man who was last seen walking at a disused iron ore mine on Raasay. 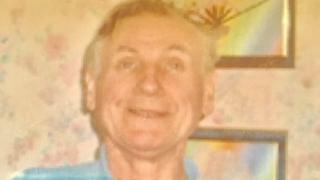 Alistair Lovie, who has dementia, was last seen north of Inverarish at about 11:00 on Sunday. The search effort has involved police, coastguard and fire service volunteers, a search dog team and members of Skye Mountain Rescue Team. Portree lifeboat and a Caledonian MacBrayne ferry have helped take search teams from Skye to Raasay. Police believe Mr Lovie may have lost his way and have appealed for help from anyone who may have seen him. He is 5ft 10in tall, of medium build, with brown hair and blue eyes. He was wearing a black jacket, jeans, a black cap, blue shirt and red jumper. Islanders have been asked to check sheds and outbuildings for the missing man. Insp Bruce Crawford, of Police Scotland, said: "As times passes we grow increasingly concerned for Alistair and we know this is a feeling shared in the local community on Raasay. "Alistair has dementia and it is considered possible that he may have become confused while out walking. "He was last seen close to a disused mine north of Inverarish but he is physically fit and walks regularly so I would urge people on Raasay to be aware and to report anything at all which may be able to help with tracing him." Insp Bruce added: "I would also urge anyone with a shed or outhouse on their property where Alistair could potentially sought shelter to thoroughly check these and let us know of anything which seems out of place. "We would urge anyone on the roads of Raasay to be vigilant and to review any dashcam footage you may have."